Sweet and sparkling, this heart ID bracelet will shower your baby girl in compliments! She will love how it sparkles! Made with all hypoallergenic, safe materials, this bracelet is comfortable and perfect for infants, toddlers, and kids. Featuring her beautifully engraved name or monogram, this bracelet is a perfect heirloom piece. 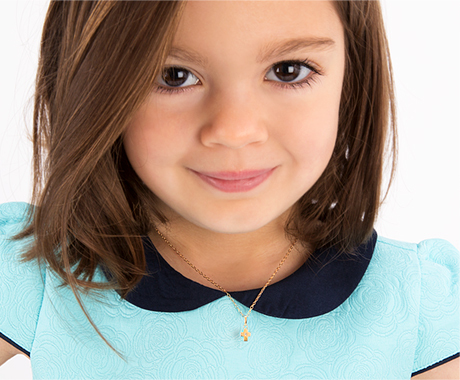 With two adjustable sizes, your little princess can enjoy her personalized bracelet comfortably for even longer. Whether you live near or far from your baby girl, your special gift will arrive ready to go, beautifully gift wrapped in Tiny Blessing's signature blue gift wrapping.